Matt Linehan will likely hear his name called in next spring's NFL draft. The skinny kid who arrived in Moscow as a freshman in 2013 is nearly unrecognizable; he's added nearly 55 pounds to his 6-foot-3 frame, is rewriting Vandal record books and was recognized by both the Unitas and Manning watch lists of college football's top quarterbacks. Linehan seeks to build on a breakout junior season, as he completed 62 percent of his passes for almost 3,200 yards and 19 touchdowns and ran for four more scores. 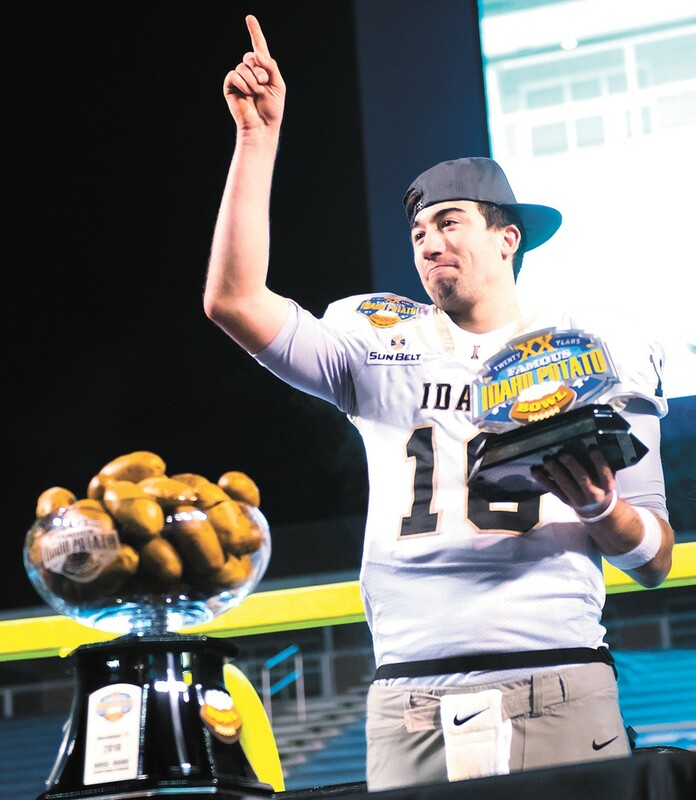 In the Vandals' first bowl game since 2009 (and third ever), he strafed Colorado State for 381 yards and four touchdowns, running for a fifth. And he's continuing a Linehan legacy; his father Scott — a former NFL head coach, now the Dallas Cowboys' offensive coordinator — quarterbacked Idaho in the '80s and coached there in the '90s. Two uncles, Ron and Rick, played linebacker for the Vandals, as does younger brother Mike, a sophomore.